GIVE YOUR CAT THE BEST! 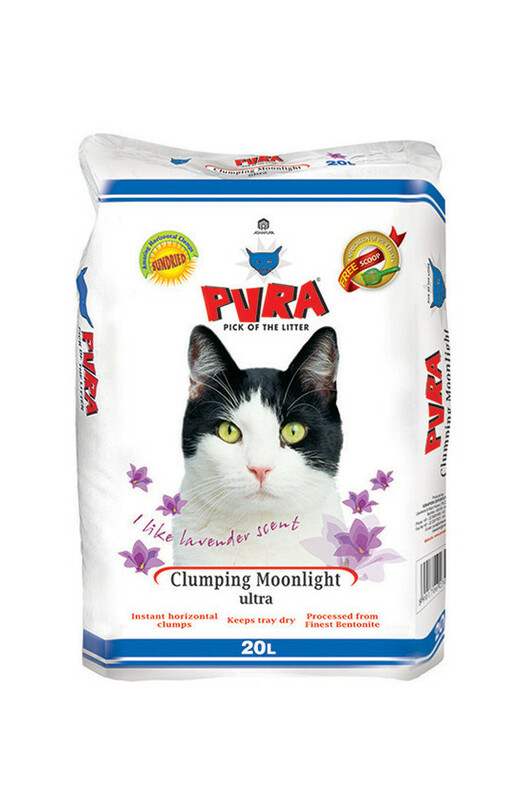 A RANGE OF CAT LITTER THAT SUITS ALL BREEDS OF CATS. A revolutionary no waste product, processed from finest Bentonie. Forms amazingly flat clumps that are truly resulting in no more soiled trays. 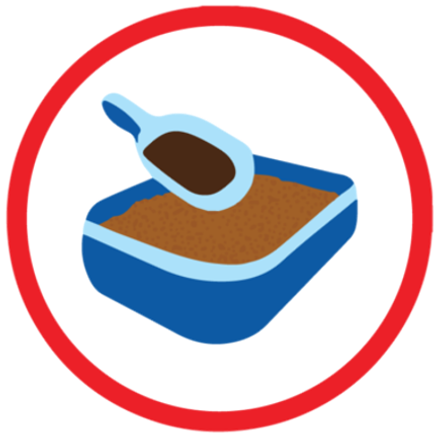 Special clay minerals – its super absorbency and hard granules makes easy to use. 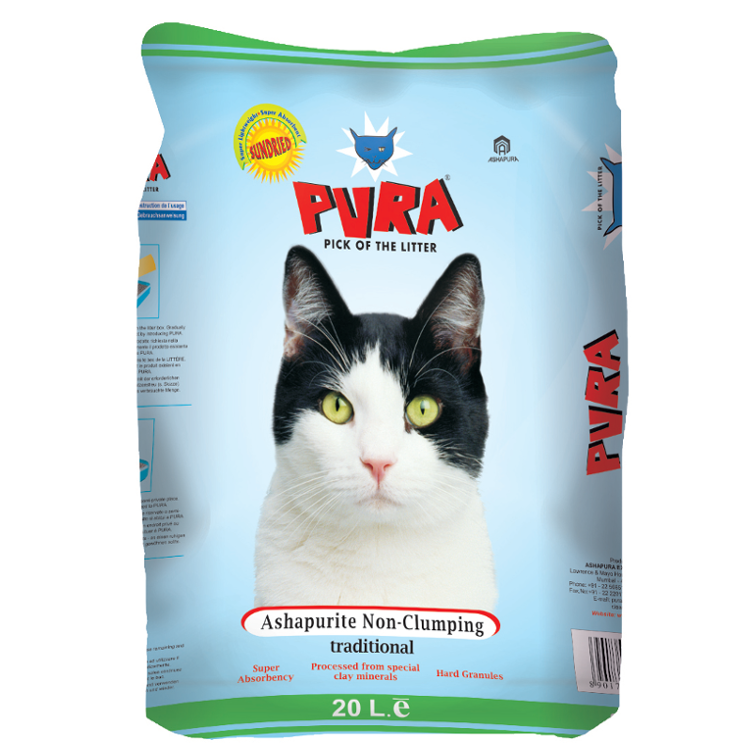 Super light weight product, more litter per kilo. 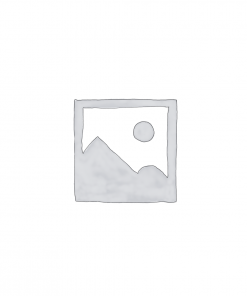 Natural white in color. 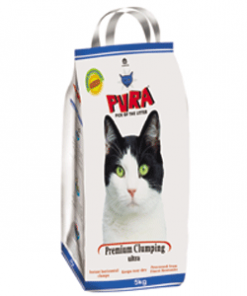 We deliver innovative and supreme quality products to meet the needs of our furry feline friends!!! 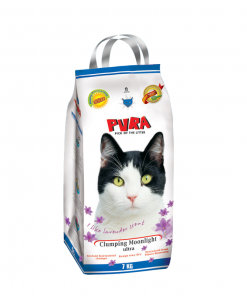 We always strive hard to improvise on quality of our litter / fragrance / packaging to satisfy the needs of Pet Owners. © Copyright 2019, www.purapet.com | All rights reserved.